Am revenit la modelul de magnet facut anul trecut si la care am uitat sa va fac poze. Anul acesta am combinat putin culorile, sper sa va placa . Baza oului este din polistiren, practic am luat un ou de gasca de la Casa Retro si l-am taiat in jumatate ( e mai economic decat sa cumpar jumatati ), pe care am aplicat un servetel cu model in centru , iar pe margine cel mai simplu model din quilling. Dimensiunea oului este de 5,5 cm x 7,5 cm. Excellent! How did you close the half? So the eggs were not hollow inside? Styrofoam? Wow, this is beautiful. Love it. Thank you so much Marge!! This is such a brilliant idea for fridge magnets! I love the idea of using napkins to bring up the brightness and to give a base. 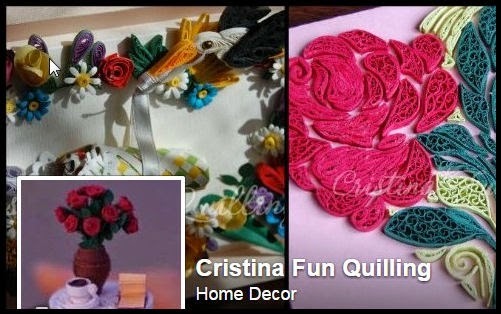 Excellent work as always Cristina! Wow excellent work.. Loved the idea..